Would you like to enjoy iTunes M4V files on iPhone freely? Do you want to play iTunes DRM movies on iPhone without limitations? Don't worry, M4V Converter Plus will be your best helper. It is professional yet easy-to-use M4V to iPhone converter, which can remove DRM protection from any iTunes protected M4V videos by converting to iPhone 6s, iPhone 6s Plus, iPhone 5s perfectly and quickly. 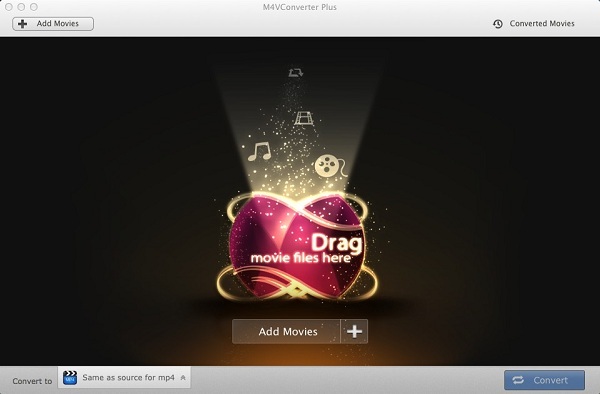 M4V Converter Plus is especially designed for Mac users to unlock DRM M4V files from iTunes purchases and iTunes Rentals, then you can enjoy these DRM-removed iTunes videos on any video player devices as you like. Furthermore, it supports batch conversion for several video files at a time with high conversion speed and excellent output quality. From the following download button, you can get a free trial version, which can only convert 1 minute each file. 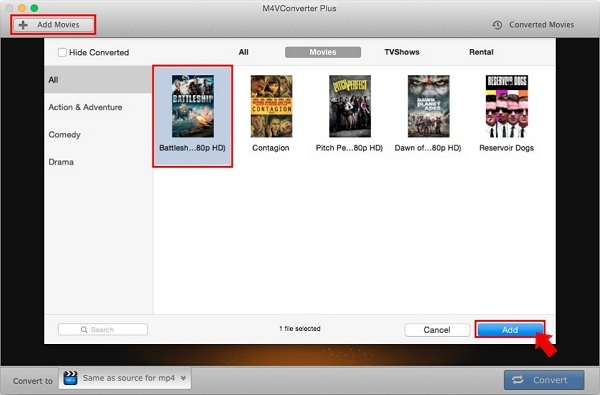 Support converting iTunes M4V Rentals for iPhone. Work for iPhone6, iPhone 6 Plus, iPhone 5S, iPhone 5C, iPhone 4S and so on. Remove DRM from protected M4V to iPhone format. Friendly user interface and quick guide. 1. 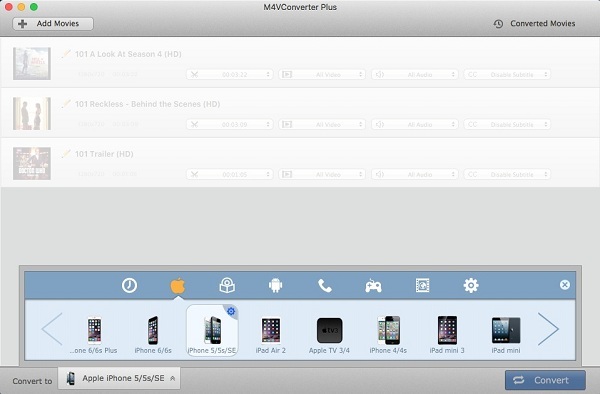 Free ownload the M4V to iPhone Converter - M4V Converter Plus and install it. 2. Open the program and the friendly user interface pops up. Click Add Movies button to find DRM M4V files according name, then select the files, click Add button. 3. Choose the suitable output preset for your iPhone according to your iPhone model. M4V Converter Plus provides the latest iPhone model for users, like iPhone SE, iPhone 6s, iPhone 6s Plus, you can set the output format as you need by clicking Convert to list > Apple Devices option. You can also set iTunes movies soundtrack as ringtones for your iPhone. 4. Now click Convert button to start the converting. After the conversion process is complete, you'll get the unprotected video files to enjoy on your iPhone. Hurry to free download and take a try.